The Hamburg Old Town is visible from far away, marked by the spires of the churches of St. Petri, St. Jakobi, St. Katharinen and of the St. Nikolai memorial. 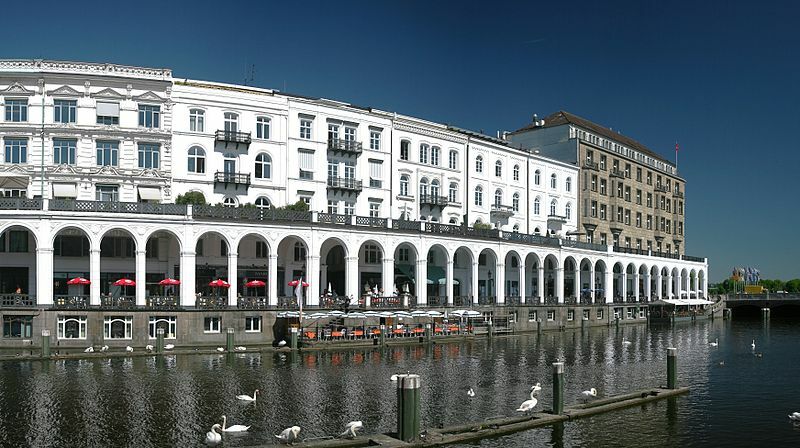 It is actually the oldest part of Hamburg and, for many visitors, the original Hamburg. Next to pedestrian areas and shopping streets, the Old Town is full of sight seeing attractions. Chile House, Sprinkenhof, Mohlenhof and Meßberghof are popular excursion destinations. Visitors feel content in this delightful historic area with its romantic little cafés and restaurants, its diversity of stores and little shops. Definitely worth a visit are HafenCity (Harbour City) and the Speicherstadt. Numerous bridges, like the well-known Jungfernbrücke, connect the architecturally exciting storehouse complexes, built upon oak piles and now historically listed buildings. The Speicherstadt covers an area of about 630,000 square metres and is home to innumerable carpet dealers, various agencies and interesting museums, for example, the Speicherstadt Museum, the Customs Museum or the Spice Museum. The aromas of oriental spices, of coffee, cocoa and tea awaken the senses. Visitors can marvel at the incoming and outbound ships in all shapes and sizes in the harbour, a stones throw away. With 7,236 hectares, Hamburg Harbour is Germany’s biggest and Europe’s third biggest harbour; about a fifth of it is a duty-free zone.